Milonga In G Minor, from Echoes, Pictures, Riddles, and Tales, ed. Helen Marlais. Notes by the composer: As a young teacher, I would compose a specific piece to engage the particular personality or technical difficulties of one of his students. Surprised and amused, the student would make critiques, and the teacher would make improvements. This collection of miniature piano pieces is a living testament to the spontaneity and enthusiasm shared by both students and teacher during those many studio lessons. Copyright © 2005 by FJH. All rights reserved. 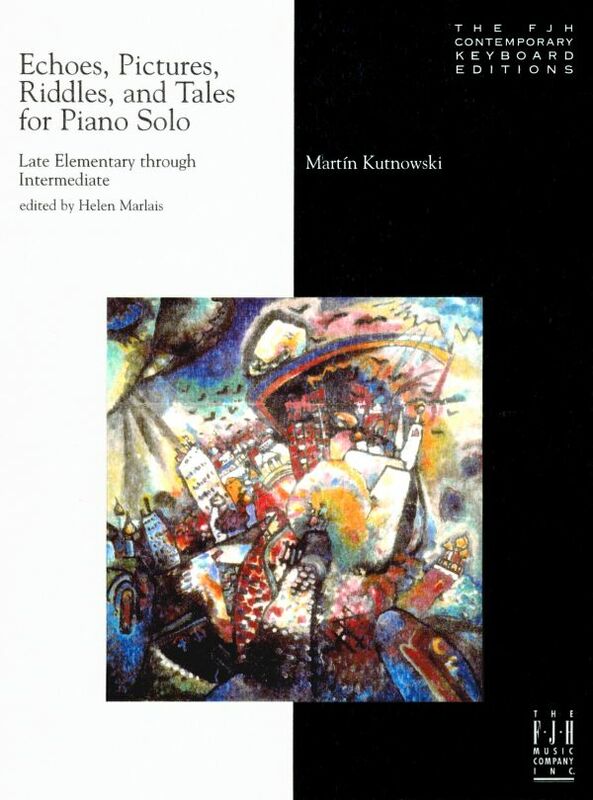 "This [is a] creative collection of pieces by Martin Kutnowski...[which] were originally composed for Kutnowski's students during his early years as a teacher. He exposes students to contemporary compositional techniques that encourage technical control, expression, and creativity... Kutnowski presents descriptive titles with detailed and clear musical indications to assist the students with recreating each individual piece... The colors, articulation, phrasing, and pedaling indications given in these elementary-level pieces will provide a fun playing experience for the student and a great teaching opportunity for the teacher...Kutnowski's creative and pedagogically sound writing will work well in the private studio, as well as in the group piano classes..."
"This book sparks imagination in younger players that may encourage them to compose music on their own. "